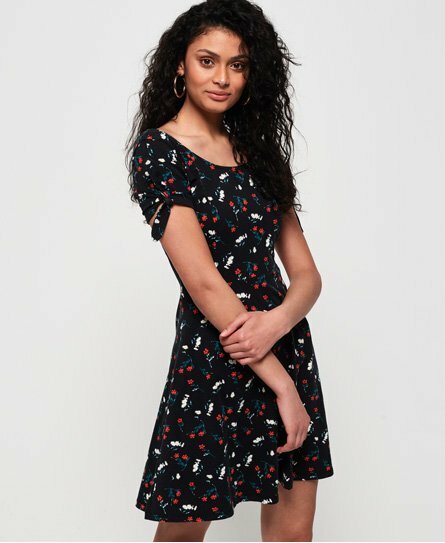 Superdry women's Becca mini dress. This simple and chic dress features a scooped neck and back and short sleeves with a tie fastening. Finished with a Superdry logo tab on the hem.